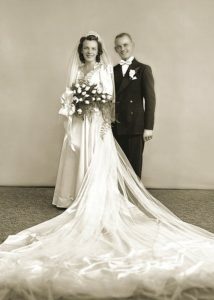 That year, 22-year-old Eddie Slovik fell in love and changed his life. Born in Detroit, Eddie was a tough kid in a tough city. At 12, he quit school and got a job in a store. For helping himself to his boss’s gum, he spent a year in jail. Two years later, Eddie and some friends stole a car and crashed it. Two years in jail. Released in 1942, Eddie got a job and fell in love. He and fellow worker Antoinette Wisniewski married. She was the only good thing that ever happened to him, he said. Because of his criminal record, Eddie was classified 4F. But Uncle Sam came calling anyway. Eddie, requesting non-combat duty, was sent to the front lines in France. During his 372 days in the army, he wrote 376 letters to Antoinette. Eddie went AWOL and was caught. If he returned to his unit, all would be forgiven. He refused. He was convicted of desertion and sentenced to death. Eddie wrote to Gen. Eisenhower, begging for a pardon. 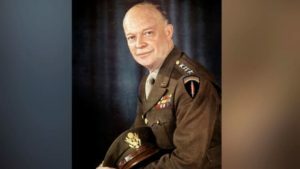 All Ike’s attention was focused on the up-coming Battle of the Bulge. 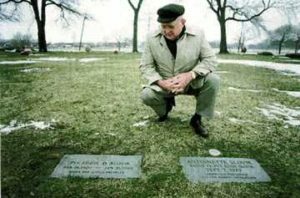 Eddie Slovik faced the firing squad January 31, 1945. He said, “They’re shooting me for the bread and chewing gum I stole when I was twelve years old.” The military chaplain, Father Carl Cummings said, “Eddie, when you get up there, say a little prayer for me.” Eddie said he would. Those were his last words. He was buried in France. The U.S. Army never informed Antoinette that the cause of her husband’s death was execution. She learned it while reading a book. She spent her life trying to get U.S. presidents to pardon Eddie. None would. 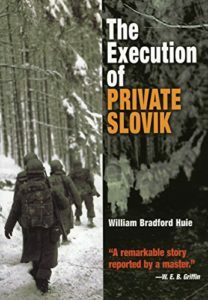 In 1954, William Huie wrote a book, The Execution of Private Slovik. Infuriated, Eisenhower tried unsuccessfully to stop publication. In 1974, Slovik’s story was made into a TV movie starring Martin Sheen. In 1987, Bernard Calka, a WWII vet, at his own expense, brought Eddie home. He is buried next to Antoinette in a Detroit cemetery. 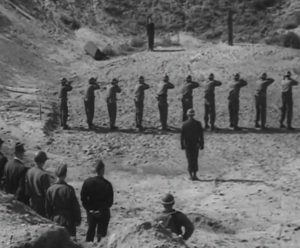 During World War II, more than 21,000 U.S. soldiers were charged with desertion; 49 received the death sentence. 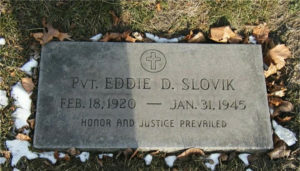 Eddie Slovik has a distinct and unhappy title – the only United States citizen to be executed for desertion in World War II. There could hardly have been a more unlikely candidate.